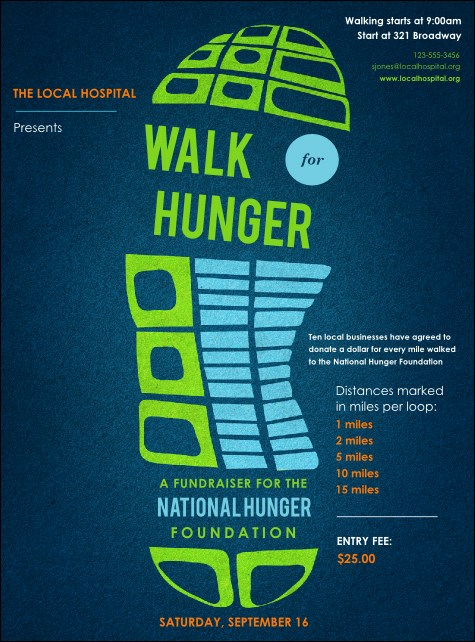 Take strides towards fundraising success when you promote your event with the Walk Flyer. The bright chartreuse and powder blue tread of a sneaker stands out on a midnight blue background, with 26 lines of information about your event. Fill in the easy template below to start your event off on the right foot.